Regular readers of this blog know that I adore key-lime ANYTHING. Key limes offer a remarkably fresh flavor that is somehow more mellow than any other citrus fruit I know. Since I don’t live in a tropical climate, I have to make do with bottled key-lime juice from Nellie & Joe’s. It means my recipes don’t include lime zest—but they DO still include that distinctive key-lime flavor. 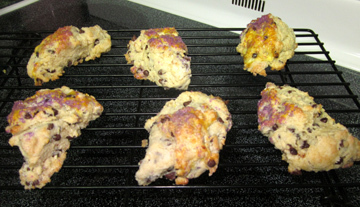 You may recall my previous recipes for Key-Lime Pie, Key-Lime Chicken, and Key-Lime White Chocolate Chip Cookies, to name a few. 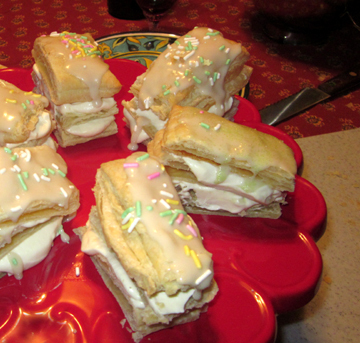 Last week when our cousins Alan and Jane came to dinner I decided to try Key-Lime Napoleons. I was inspired by a lemon pudding recipe I found at Lehman’s Country Life, the blog for the country-oriented Lehman’s store in Ohio. Lehman’s used lemon juice for its pudding, which was easily transformed into key-lime juice. The pudding looked to me as though it needed something to go with it, however. I originally intended to use it to stuff cream puffs, using the puff recipe I used when I made cranberry puffs a couple of years ago. I ran out of time to make the cream puffs, however, so I purchased a package of Pepperidge Farm puff pastry and made the Napoleons instead. According to the Food Timeline, Napoleons were probably not actually named for Napoleon Bonaparte, despite their suitability. (They are, after all, short and puffed up.) The Timeline suggests that the name comes from “Napolitain,” indicating that this pastry is based on one from Naples. 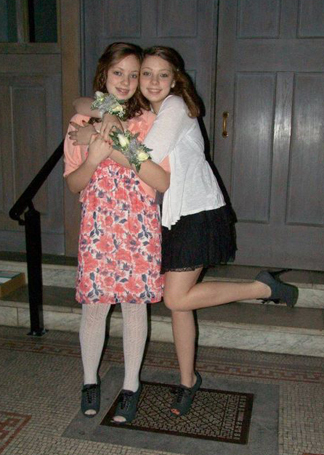 Wherever they originated, we all loved them. 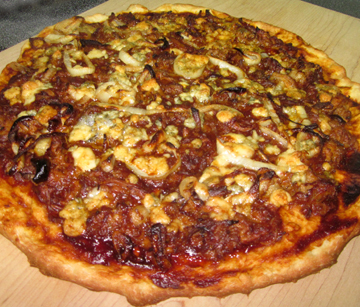 Feel free to make your own puff pastry if you are good with pastry. I’m not. I have tried—really—but folding the pastry into the requisite 1000 creases is definitely way outside my skill set! If you buy the pastry, you’ll end up with a very simple, very fun dessert. Did I mention that it’s awesome? Combine the egg yolks, sugar, and key-lime juice in a 1-1/2-quart nonreactive saucepan. Whisk to combine. Place the saucepan over medium heat, and cook, whisking, until the mixture lightens and attains the consistency of a light pudding. Remove from heat, and transfer to a medium-sized bowl. When this mixture (the key-lime curd) gets to room temperature, whip the cream, adding the sugar and vanilla toward the end of the whipping. If you want to make the curd in advance, refrigerate it until you are ready to whip the cream. Add a little of the whipped cream to the key-lime curd, then fold the slightly creamy curd mixture into the whipped cream. Prepare the glaze by mixing the key-lime juice with confectioner’s sugar. It should be thick but spreadable. Assemble your Napoleons. Each one will take three rectangles of puff pastry. Place one rectangle on a plate, and cover it with a generous helping of the key-lime filling. 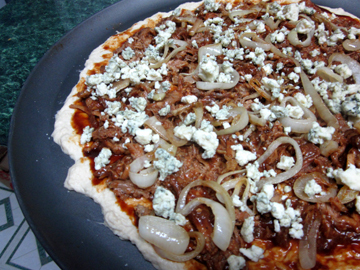 Cover that with another rectangle, more filling, and a final rectangle. Be gentle! Drizzle and/or spread a little glaze on top of each Napoleon. Serve the things quickly before they collapse! 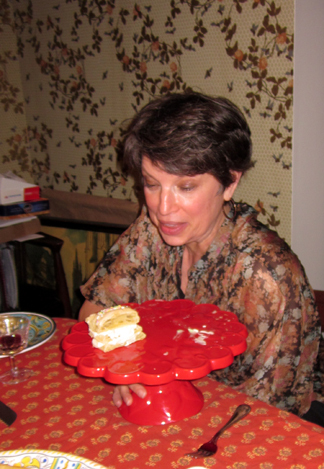 Cousin Jane contemplates the last Napoleon with an air of amazement (and amusement). If I had to pick one series to represent American network television in the 1990s, it would probably be Seinfeld. I personally only watched two episodes of this comedy program during its network run. Nevertheless, I was aware from dinner-table conversations in communities with populations that ranged from the hundreds to the millions that the show revolved in quasi-autobiographical fashion around the stand-up comedy of an upper-west-side New Yorker, Jerry Seinfeld, and his onscreen friends: explosive ex-girlfriend Elaine, neurotic best friend George, and so-weird-he-might-have-been-from-Mars neighbor Kramer. The program debuted slowly, starting with the pilot’s airing as filler in the summer of 1989. It grew in time to enchant critics and then millions of viewers before it went off the air with great brouhaha in 1998. Episodes became instant classics among baby boomers, rapidly gaining the sort of status previously enjoyed only by favorite segments of I Love Lucy and The Honeymooners. Naturally, the latter, which aired in November 1995, speaks to me. Like many episodes of Seinfeld, “The Soup Nazi” contradicts the popular conception that nothing happens in this series. In fact, Seinfeld is very much of its era in that it often features multiple, intersecting plots. In this episode, one subplot revolves around the Nazi of the title and his soup emporium. Another involves George’s attempts to persuade Jerry to desist from displays of affection with his latest girlfriend. The last features the efforts of Elaine to acquire an armoire for her apartment. 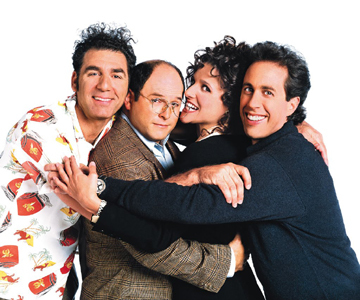 Perhaps the program’s “nothing” reputation stems from the fact that plot in Seinfeld is less important than the absurd conversations of its characters. Perhaps it stems from this situation comedy’s tendency, inherited from the stand-up comedy form of its star, to jump from one plot point to another in non-sequitur fashion, making the trajectory of the plot(s) hard to trace. In any case, the narrative soup here is quite deliciously thick. Unfortunately, he warns them, the highly temperamental chef, “secretly referred to as ‘the Soup Nazi,’” does not allow customers to deviate from his strict ordering procedure. As most fans know, the character of the Soup Nazi was based on a real New York chef notorious for his delectable soup but less than delectable kettle-side manner. As it does in the program, the line of potential customers regularly extends around the block from Al Yeganeh’s soup store. In fact, my sister-in-law lived two blocks from this establishment, the Soup Kitchen International, for years and never tried Yeganeh’s soup because she never had time to wait in the line! Yeganeh apparently detested the Seinfeld tribute (if that’s the right word) to his reputation. Typically, the “Soup Nazi” episode uses Yeganeh’s alter-ego more to shed light on the personalities of the regular cast members than to make any statement about the vagaries of New York restaurateurs. Jerry, the only character with a successful career, masters the tense ritual of ordering from the Soup Nazi quickly and emerges victorious from the store with a bowl of crab bisque. Elaine, ever the free spirit, appears to view the establishment’s stringent rules as a challenge. She dawdles over her order so obnoxiously that the Soup Nazi banishes her from his kitchen for a full year—and I for one don’t blame him. Interestingly, Kramer, who generally seems to operate on a different plane from the other characters, is the only person in the group to whom the Soup Nazi warms up—mostly because Kramer is just weird enough to understand the Nazi’s attitude toward the ordering process. He views the chef’s desire for “perfection” in his customers as a natural extension of his quest for perfection in his cooking. “You suffer for your soup,” Kramer says sympathetically. Clearly, Kramer’s heart as well as his taste buds will suffer at the episode’s end, when the Soup Nazi announces that in light of Elaine’s threats to reveal his recipes to the world he plans to decamp for Argentina. 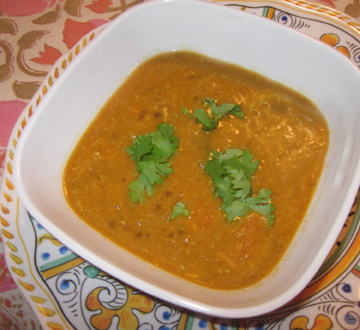 Make sure your spices are fresh and pungent for this soup. I recommend curry powder and cumin seeds from Kalustyan’s (or Foods of India in New York, two stores at which the Soup Nazi might well have shopped. If you want a vegetarian mulligatawny, feel free to omit the chicken and to substitute vegetable stock for the chicken stock. You’ll still have a lovely, warming concoction. Heat the oil in a large soup pot, and sauté the onion, garlic, and carrot until the onion turns a light golden color. Stir in the cumin and curry powder and heat for a minute as a paste, adding a bit of the chicken stock if it threatens to dry out completely. Quickly stir in the lentils; then add the stock, salt, lemon juice, and tomato. Bring the mixture to a boil, reduce the heat, and simmer covered for half an hour, stirring occasionally. Add the chicken, and simmer for another half hour partly covered, stirring frequently. Cool the mixture for at least a half hour, and then puree it in batches in a blender or food processor. Refrigerate the soup for several hours (overnight if possible) to let the flavors meld. Then heat the mixture in a large saucepan until warm, stirring constantly to keep the thick soup from sticking to the bottom of the pan. Your soup may be served plain or with cooked rice. Some people prefer to add a bit of cream to their bowls, and many like a hint of coriander sprinkled over each bowl just before serving. Serves 6 to 8. 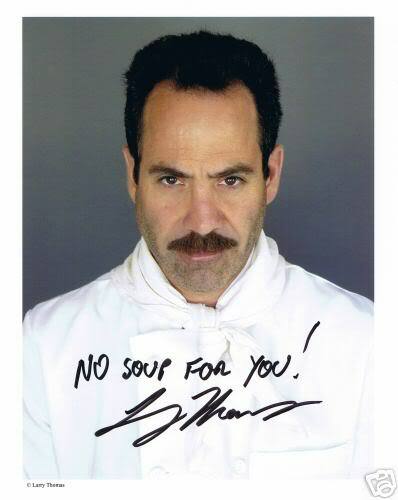 Larry Thomas, who portrayed the Soup Nazi, still sells personally signed "No Soup for You" photos on eBay.